1. The father of Eleazar, "one of the three mighty men with David, when they defiedthe Philistines that were there gathered together to battle" (II Sam. xxiii. 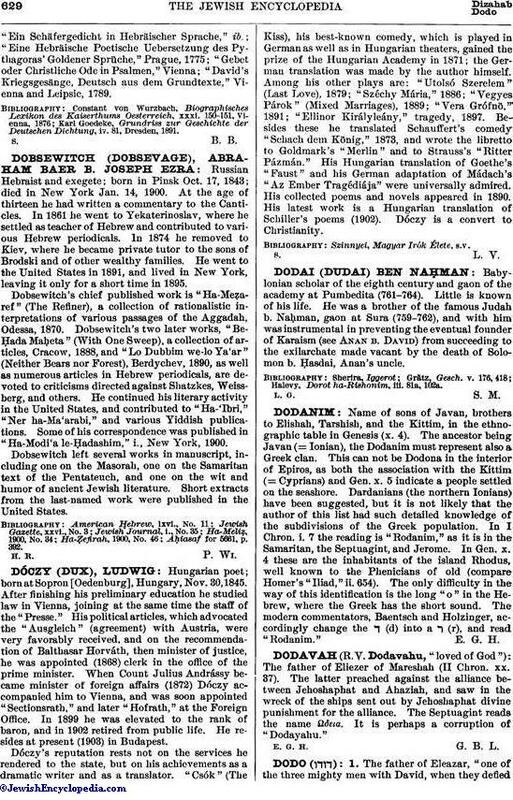 9; R. V. "Dodai"). I Chron. xi. 12 reads "Dodo, the Ahohite," while in the Hebrew of the II Samuel passage he is termed "the son of an Ahohite." I Chron. xxvii. 4 gives "Dodai" as captain over a division of the army in service during the second month. These three passages seem to refer to one and the same person. The same name appears on the Moabite inscription, where it may be read either "Dodo" or "Dodah." The name "Dudu" is found on the Tell el-Amarna tablets as the name of an Egyptian official. 2. The father of Elhanan (II Sam. xxiii. 24), one of David's thirty mighty men. 3. 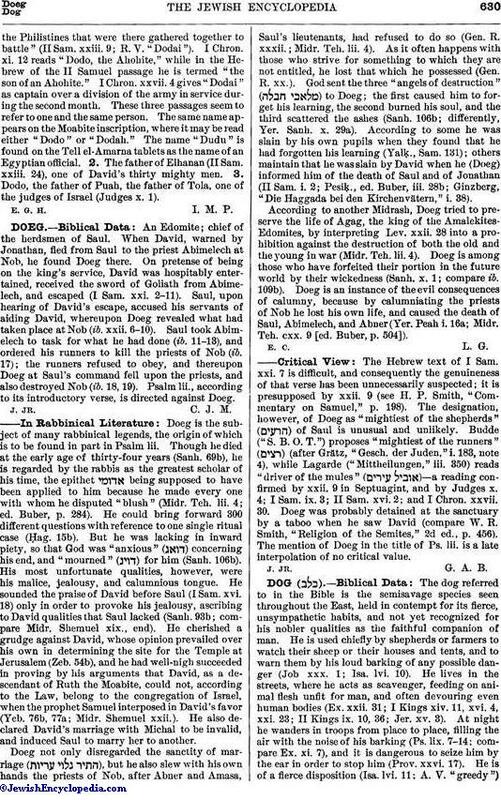 Dodo, the father of Puah, the father of Tola, one of the judges of Israel (Judges x. 1).